In the past, we have shown you how to reset your WordPress password using phpMyAdmin. That method is a little bit advanced, so we showed you an easier way to recover a lost password in WordPress in case you forgot yours. It was brought to our attention by one of the users that we do not have a tutorial on how to change your WordPress password. In this article, we will show you how to change your password in WordPress. Once you are logged in, go to Users » Your Profile. Scroll down until you see New Password option. Add your new password twice. The strength indicator bar below will tell you the strength of your passwords. You want to make sure that your password is strong. 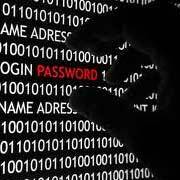 A strong password is easy for you to remember and hard for someone to guess. Once you have typed your new password, click on the Update Profile button to save your new password. That’s it. Congratulations, you have successfully changed your WordPress password. If you have any questions regarding this step, feel free to ask in the comments. This no longer applies. There is now an account management section with a “new password” option. The interface is confusing as it says “Generate Password” and if one clicks this button they are given a single field to type a new password into. There is an indicator for password strength but no confirm field which is common on all other websites in the world today. please help me , how can i migrate Cpanel default email account ? i had hosting at godaddy but now i migrated it to Bluehost .. But the username of my wordpress and Cpanel default email both are same .. so is it pssible to migrate it ? will it affect to my wordpress after expiry of Old hosting account ?